We provide some of the finest hair systems, starting from just $179. I've been a hair wearer myself for many years and started suffering from hairloss over 20 years ago, so I understand what you're going through regardless of which stage you are at. 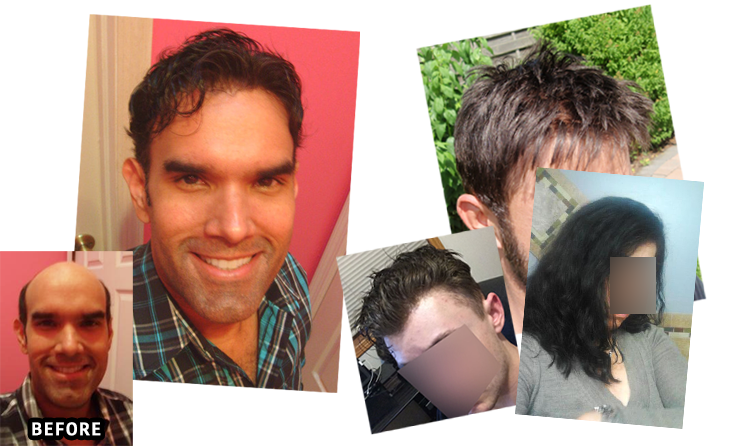 I've had hair transplants, used concealers, taken Propecia, and I also used topical Rogaine before finally going this route myself. I decided to go into business because I wanted people to have another honest option out there that understands what they are going through and genuinely wants to help, not just take their money. Feel free to ask questions and look around at your other options. I am confident that I have a high quality product at a great price. Customer service is very important and your business will be valued and most importantly, earned. © Copyright 2015 Northwest Lace LLC. All Rights Reserved.